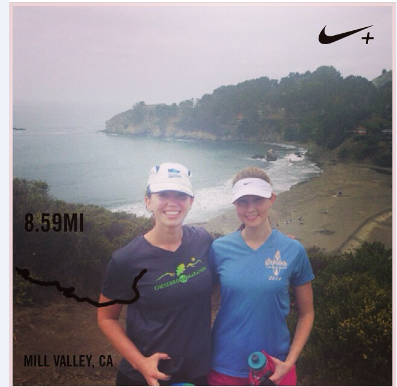 Our long run this weekend looked strikingly similar to our run last weekend. On Saturday, Wwe parked at the Tennessee Valley trailhead (again) and made our way to Muir Beach via the Coastal Trail (again). 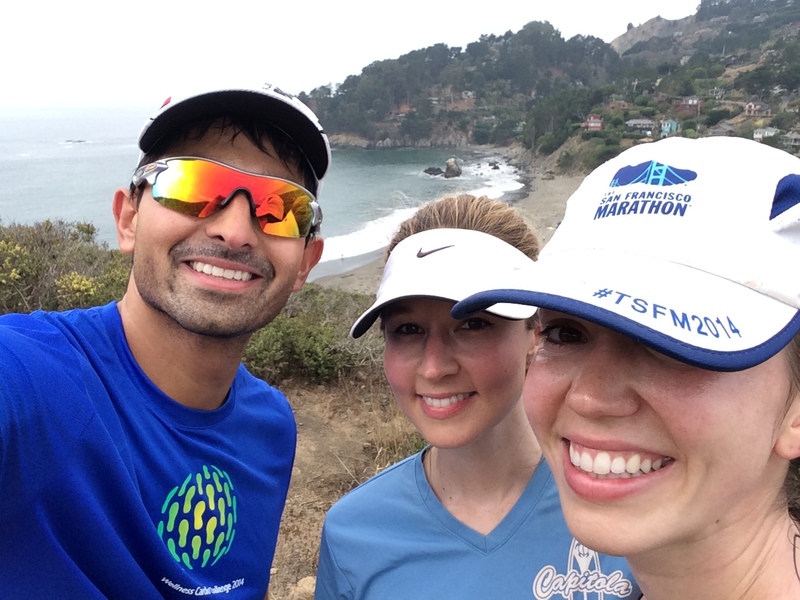 Instead of taking on more miles and making one big loop back to Tennessee Valley, I was joined by Jamie and Aditya for a pleasant, eight-mile round trip run. It was Jamie’s longest trail run! Meanwhile, Jesse ran with our fast friend Dane (who recently ran a sub-three hour marathon at San Francisco Marathon), and they finished a 13-mile run with nearly 3,000 feet of elevation gain mere minutes after we had finished our shorter run. Speed demons! After the run, we grabbed omelettes, benedicts, and huevos rancheros at Dipsea Cafe. We all shared the delicious pancake special, too! With Jesse’s birthday one week from today and our departure for Tahoe imminent, Jesse and I are itching to get away from the city. I can’t wait to watch him become an Ironman for the second time! Wow, awesome job!!! Way to run!!! Looks beautiful!!! Sounds like a great day! The trail looks pretty. Yay, some of my blogging faves! Did y’all know eachother before blogging?